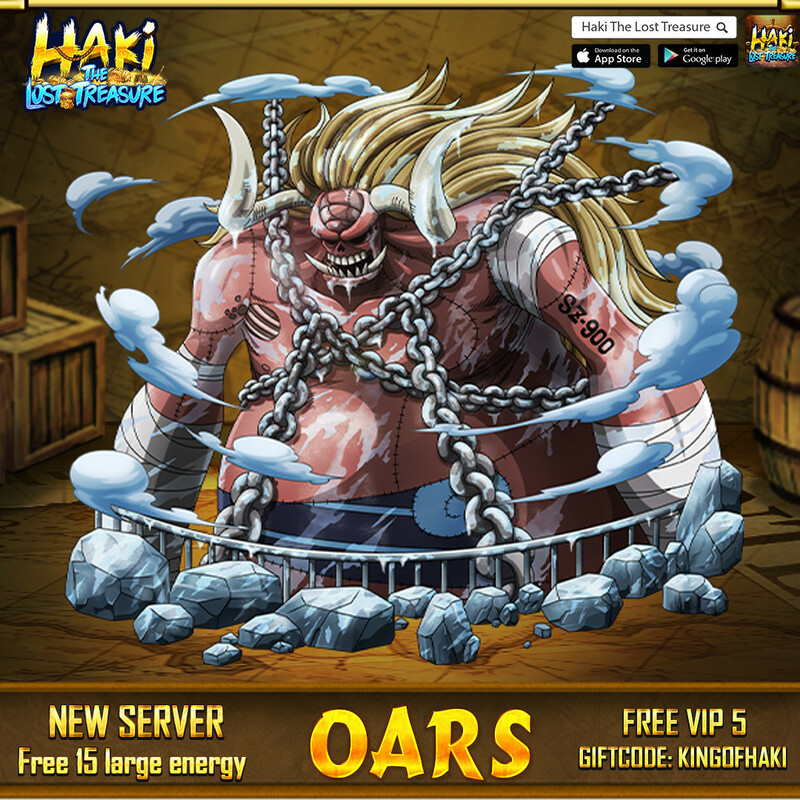 Free 15 large energy, Free VIP 5 with OARS. Set sail now. The new server: OARS is going to be open at 13:00, January 10th, 2018 (UTC+8) Captains. Gather your friends, grab your stuff and start your wonderful journey in One Piece World with marvelous graphic design. You are able to have a miracle change to get huge of valuable Rewards. ➡️ Many necessary and valuable items including Ultra Rare Devil fruits, Orange Tactic, Orange equipment chests, etc.